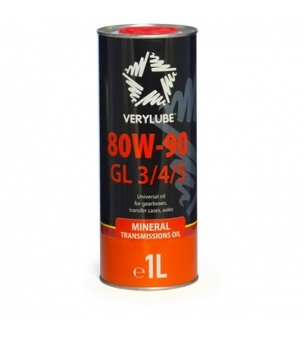 High class universal mineral oil for all units of mechanical transmissions. Universal application in all units of mechanical transmissions (gearbox, transfer case, axle, differential) of passenger cars and trucks. Improves operation of synchromesh gears and gear shifting precision. Especially effective for loaded hypoid gears and self-locking differentials.